While the presentation of Hylics 2 is reminiscent of the SNES’s Clayfighter on acid, it is a pretty conventional JRPG at heart. There’s an overworld map where you can explore and interact with other people, objects, and enemies, as well as a battle mode for when you’re actually fighting stuff. 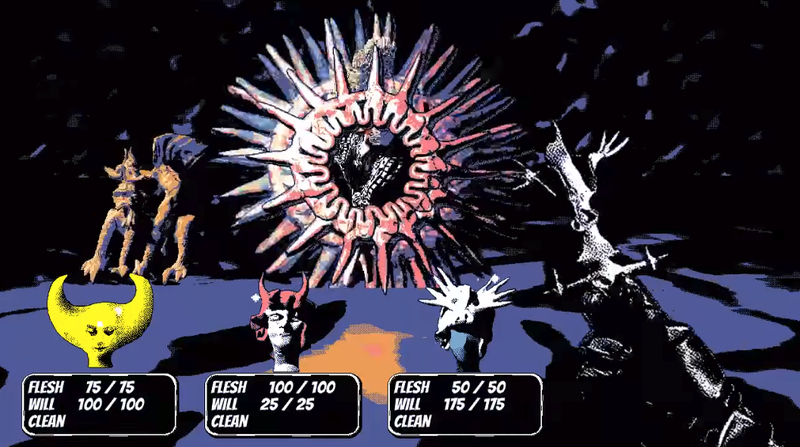 If you’ve ever wanted to play something like EarthBound but somehow 10 times weirder, you’re in luck. The trailer seems to show off the game’s broader scale and refined graphics; I especially like the bit where you’re battling a car as it tries to kiss you to death. t At least, I assume that’s what’s happening. Kotaku’s Heather Alexandra called the original Hylics a “tangled conundrum” because of the game’s procedurally generated text and disorienting mood. But that was also part of the fun, like many other classic JRPGs whose true nature and objectives are completely divorced from the non sequiturs spoken by non-playable characters. In this regard, it’s a different animal than something like Undertale, even though both games aim to reimagine a classic genre. 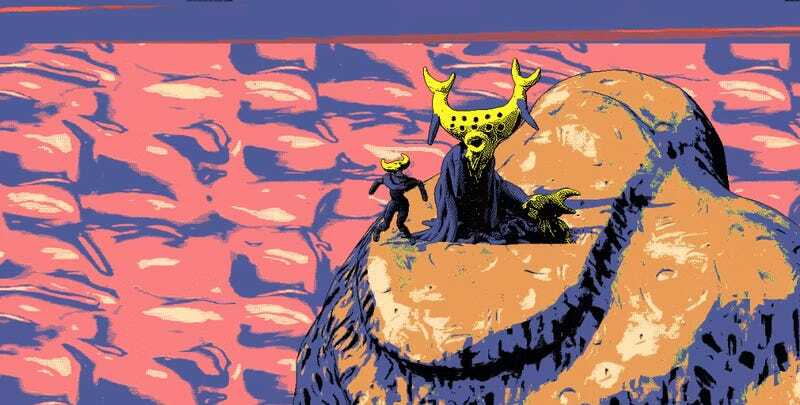 While there’s no set release date yet, Hylics 2 is supposed to show up sometime before the end of 2018. Meanwhile, you can always play the first game over on itch.io or check out Lindroth’s latest art over at the game’s development blog.